This past week I was reminded that rushing is not necessary. It is not life-giving. It is not healthy. On Maui, no one seems to be in a hurry, even folks going through the motions and routine of day-to-day life. If someone’s mind wanders while stopped at a stop sign, the driver behind just goes with the flow, taking advantage of the pause. There were no signs of road rage anywhere. I quickly learned to lean into the pause, to enjoy it, to experience it is an opportunity to take a breath and notice what is happening in the world around me: a clump of wildflowers blooming by the side of the road, a bird flitting from branch to branch, the clouds moving to form yet another spectacular show of light, shadow and extraordinary color. Slowing down to such an extreme put my “normal” routine in stark relief. It affirmed what I had been coming to acknowledge and accept over these past few months: it is time to make changes, to discern the essential and necessary for today rather than trying to do so much, so quickly. 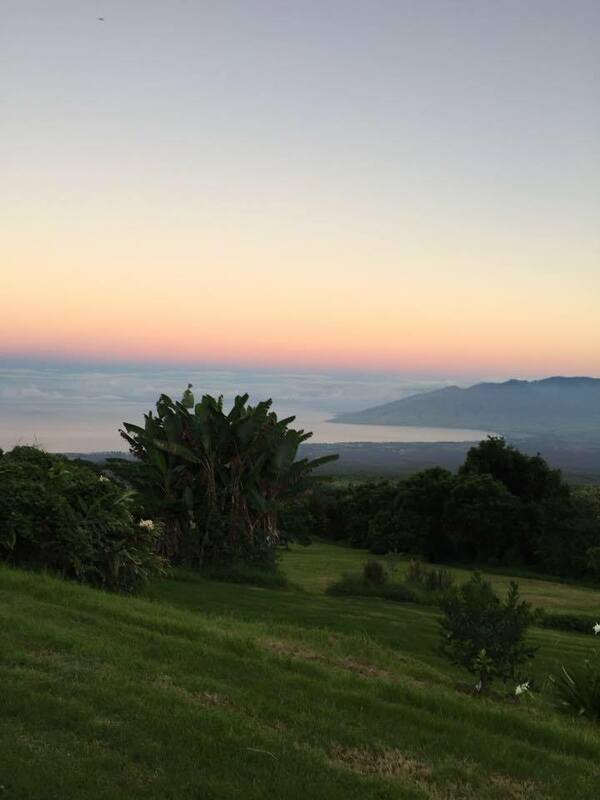 So, back on the mainland, I am taking a few small but concrete steps to maintain that “Maui mellow” – to free up the type B person within who has been crowded out by a type A life. I am not kidding myself. I know it will be easy to move to my default behavior. Even so, I am looking forward to a new practice – a spiritual discipline – of pausing, waiting and discovering the beauty all around. This entry was posted in 12-step spirituality, faith, peace, Recovery, Uncategorized and tagged 12-step spirituality, grace, gratitude, holy ground, hope, Maui, mercy, renewal, simple prayer, vulnerability. Bookmark the permalink. 2 Responses to Hurry not. I seem to be at a similar place – mine mostly due to age, changing values, and a growing inability to maintain the pace. Two co-workers who have suffered injuries this summer due to trying to maintain a pace that is impossible to achieve – “doing more with less” has really made me stop to ask myself what I hope to accomplish trying to keep up. Once again, thanks for the message. I will be praying for you and ask for your prayers as well. Thanks, Ann. Will definitely hold you in prayer and appreciate yours!